Millions of Afghans Submit War Crimes Claims - Integration Through Media ....! 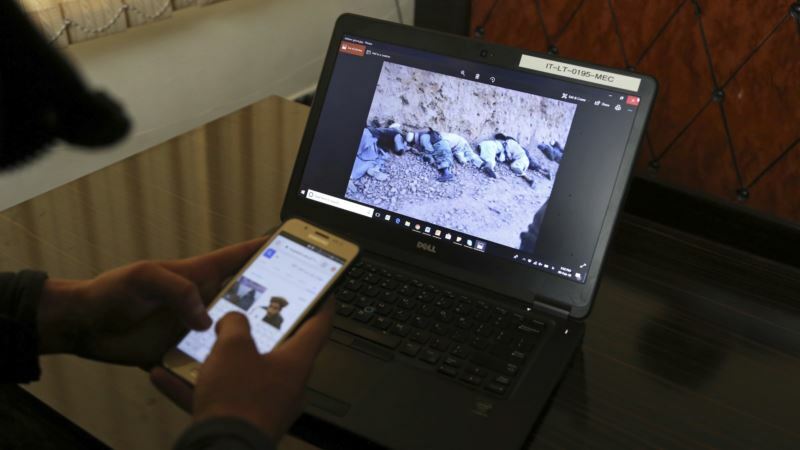 (VOA): Since the International Criminal Court began collecting material three months ago for a possible war crimes case involving Afghanistan, it has gotten a staggering 1.17 million statements from Afghans who say they were victims. The statements include accounts of alleged atrocities not only by groups like the Taliban and the Islamic State, but also involving Afghan Security Forces and government-affiliated warlords, the U.S.-led coalition, and foreign and domestic spy agencies, said Abdul Wadood Pedram of the Human Rights and Eradication of Violence Organization. “I have the names of the organizations, but because of the security issues, we don't want to name them because they will be targeted,” said Pedram, whose group is based in Kabul. “Please don't say where I live, or show my face,” he implored a reporter. “What if they find me? There is no protection in Afghanistan,” he said. Bensouda said in November that “there is a reasonable basis to believe” that crimes against humanity and war crimes were committed by the Taliban as well as the Haqqani network. She also said there was evidence that the Afghan National Security Forces, Afghan National Police and its spy agency, known as the NDS, committed war crimes. Bensouda also said evidence existed of war crimes committed “by members of the United States armed forces on the territory of Afghanistan, and by members of the U.S. Central Intelligence Agency (CIA) in secret detention facilities in Afghanistan,” as well as in countries that had signed on to the Rome Statute. The secret detention facilities were operated mostly between 2003 and 2004, she said. It was the first time that Bensouda has targeted Americans for alleged war crimes. Bensouda said an investigation under the auspices of the international tribunal could break through what she called “near total impunity” in Afghanistan. Another Afghan who went to the ICC is Hussain Razaee, whose fiancee, Najiba, was among 30 people killed in July when a Taliban suicide attacker rammed a car bomb into a bus carrying employees from the Ministry of Mines. “I lost the person I loved,” he said. “I am pursuing this because I want the ICC to record these cases so that if there is a peace agreement, the Taliban leaders will be required to identify the people behind the killings,” Razaee said. “I don't trust the international community to bring any of these warlords or Taliban to justice, but if an international legal body rules according to the law, then the government could be forced to enforce it,” he said.